Gabby Giffords’ gun control group is suing the Trump Administration, seeking documents it alleges could show the NRA has influence over President Trump’s gun policy decisions. 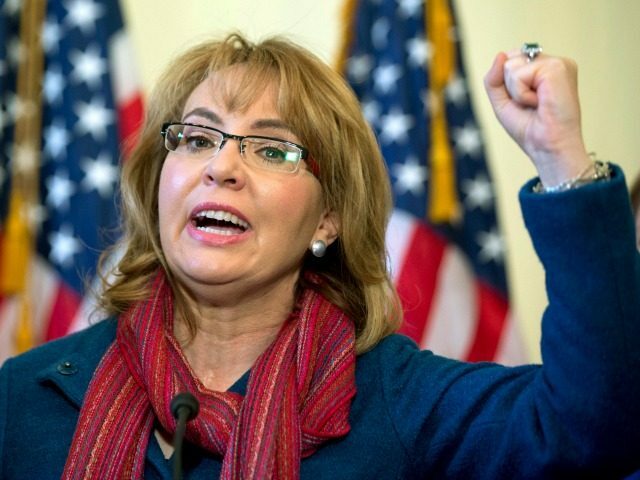 The suit was filed Tuesday by the Giffords Law Center to Prevent Gun Violence. According to HuffPo, Giffords Law Center claims it has repeatedly asked Trump’s ATF for information via Freedom of Information Act requests, but has received none. HuffPo suggested the Trump administration’s response to the October 1 Las Vegas “[sounded] a lot like the NRA’s talking points after mass shootings.” In making this point, the HuffPo overlooked the fact that President Trump and his Counselor, Kellyanne Conway, in fact voiced opinions that were ran counter to NRA positions. Giffords group has yet to file a suit to see how much political influence Michael Bloomberg achieved over Democrats via the $52.7 million he spent for gun control in 2014 alone.